But in order for you to see the image on the website, it must be hosted somewhere, right? Then the secret is figuring out where to find it… which is where this tutorial comes in. Note: this tutorial shows you how to do it in Firefox. I’ll leave it up to you to figure out a similar technique in Chrome or Internet Explorer. Super-important note: (and I can’t stress this enough) This tutorial is for you to save the images to your hard drive only. Do not, repeat, do not, use this technique to download and repost or redistribute images without permission. 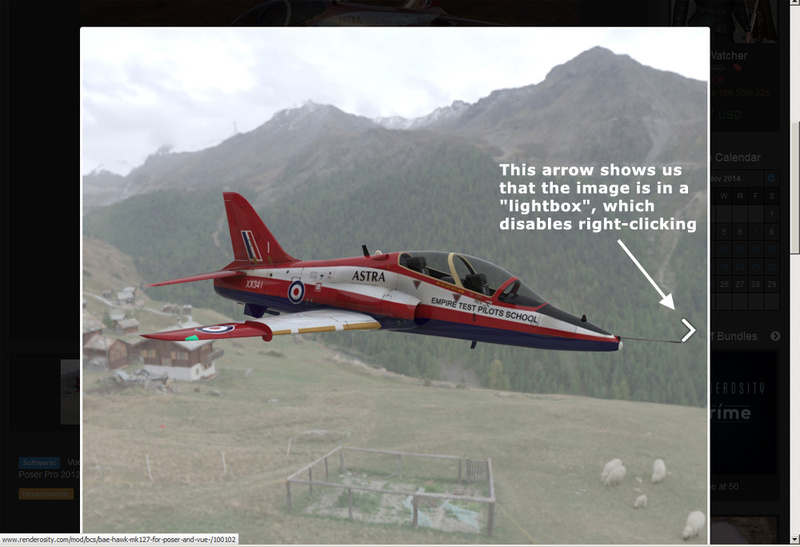 In this example, the image of the aircraft is in a “lightbox”, which disables the Right-Click/ Save As command. 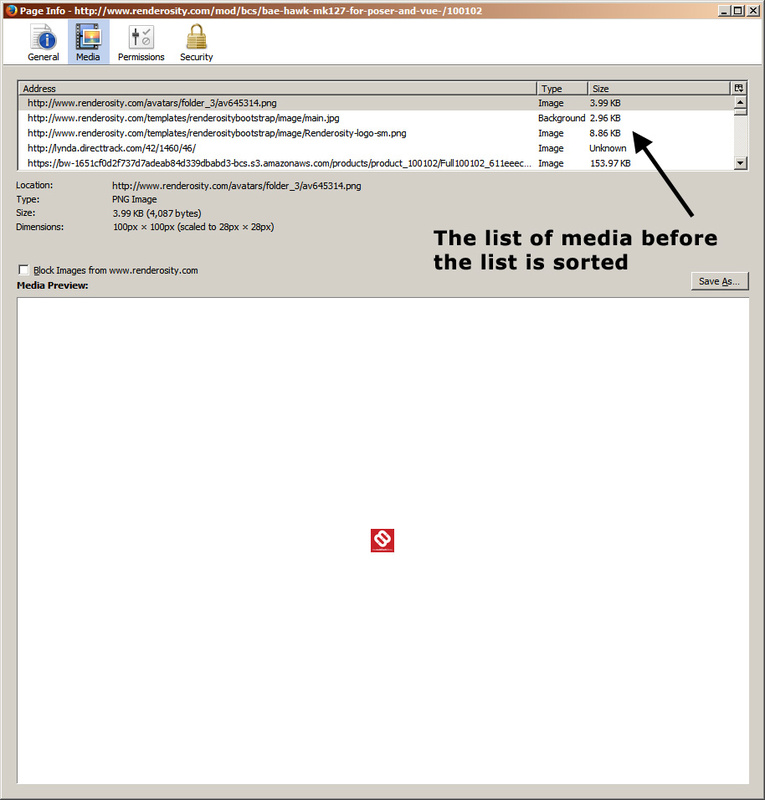 Step 5: Click the word “Size” twice to sort the column: first, by smallest to largest, then again to sort by largest to smallest. The image you’re interested in will probably be the largest and listed at the top. If it’s not the one at the top, scroll through the list until you find it. 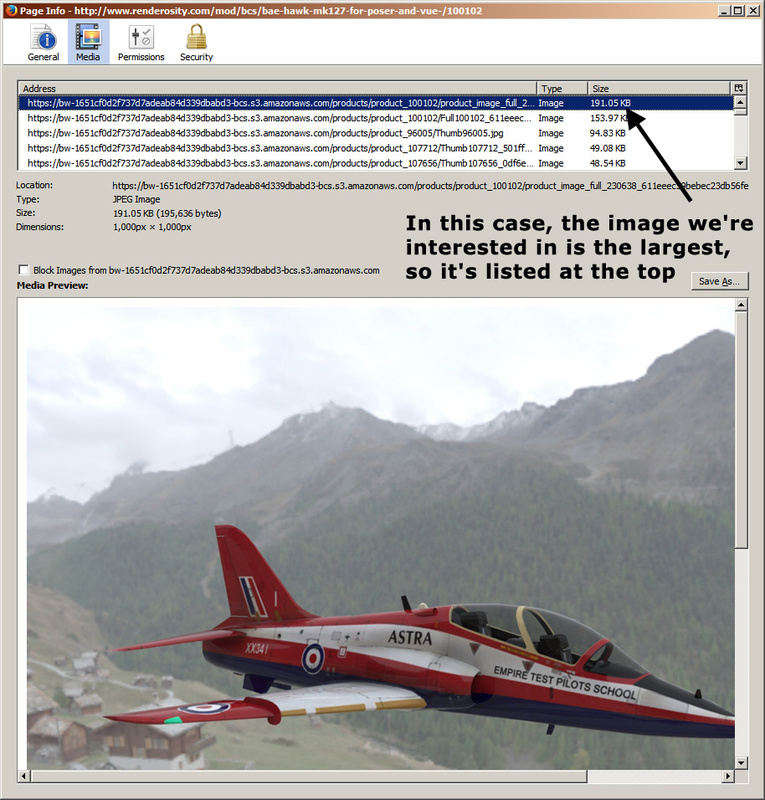 Don’t worry about the file name- the file will be displayed as you scroll through the list so you’ll know the image when you see it. 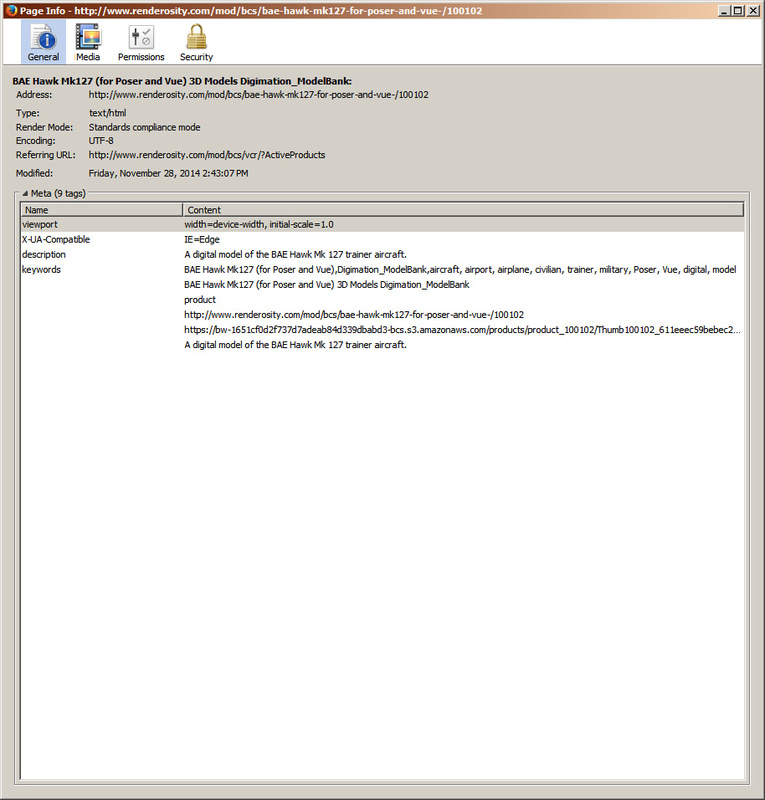 Step 6: Click the “Save As…” button to save it to your hard drive. And that’s it- you’re all done! Entry filed under: Uncategorized. Tags: 3d, artwork, digital, digital artwork, images, instructions, saving files, tutorial.